Don’t let them sit too long. I’ll cop to it upfront: I let our bikes sit too long this winter. It’s an awful, inexcusable thing to do to a motorcycle. 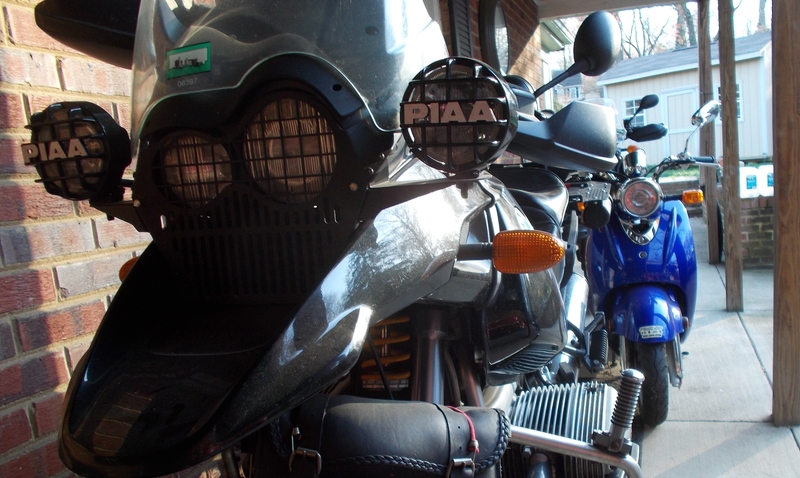 But three of the four forgive me, and it’s only Endurance, my 2000 BMW R1150GS, that won’t respond. The battery has gone bad, I find. 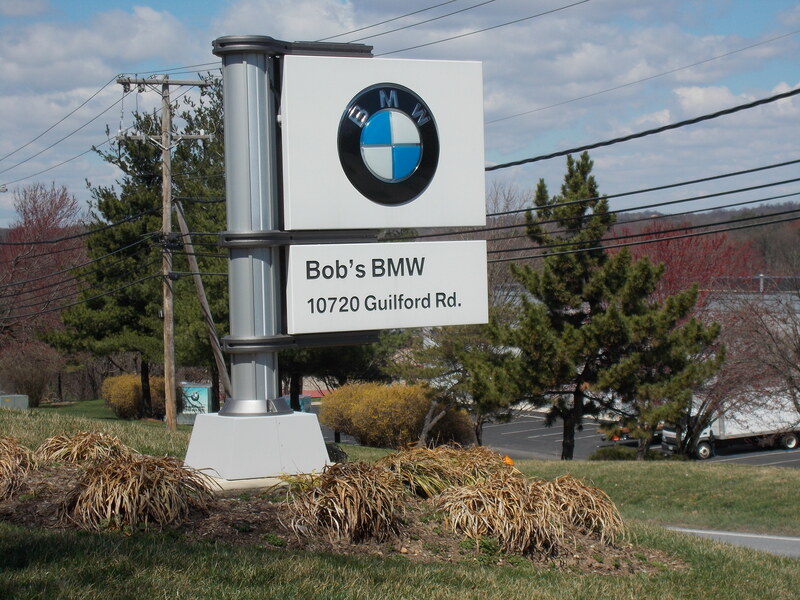 So I rabbit off to Bob’s BMW in Jessup, Maryland, and get a replacement battery, engine oil filter and oil. Saw a 2015 R1200GS Adventure for $22,000. Back home, Endurance accepts the battery and fires up on first try. Terra Nova, the 2012 Yamaha Super Tenere, is fine. 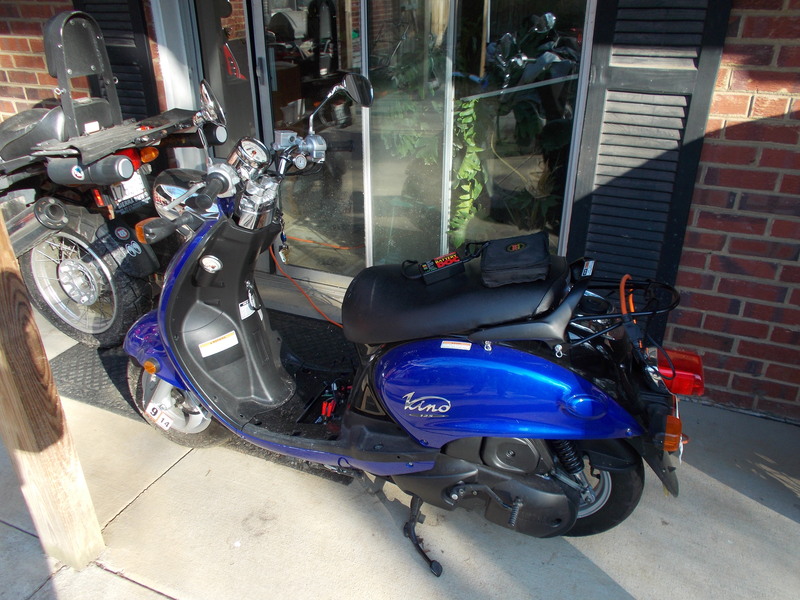 Linda’s 300cc Vespa GTS cranks over readily and starts easily, but her Yamaha Vino 125 needs a battery charge. After that, it’s no complaint. Endurance has more than 92,000 miles on the clock and is due for a major tune-up. I’ll take her up to Bob’s in a week or so. Then it’s time to start planning this year’s ride. As you plan your rides this year, remember that we are settled and have a spare bedroom available for company! It is that time of spring that we are “starting up” things again. Tom mowed the first time and thankfully, everything was a go without too much trouble!